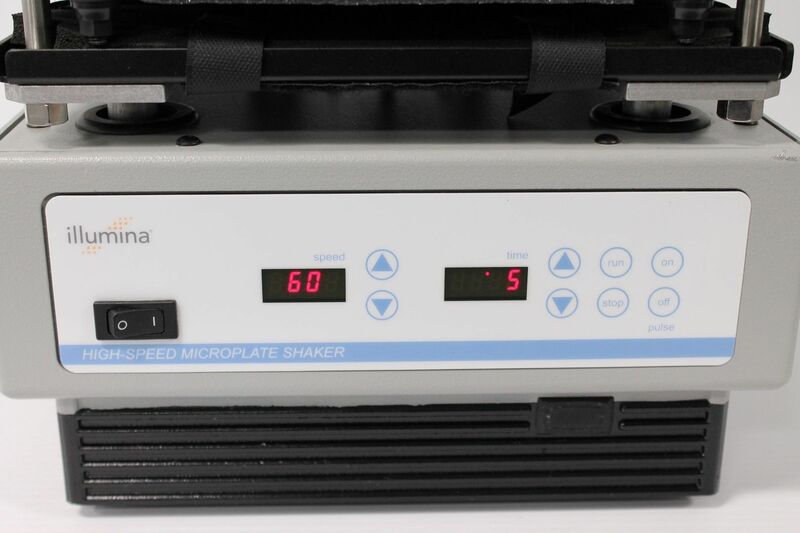 This Illumina HSMPS High Speed Microplate Shaker is in good working order. 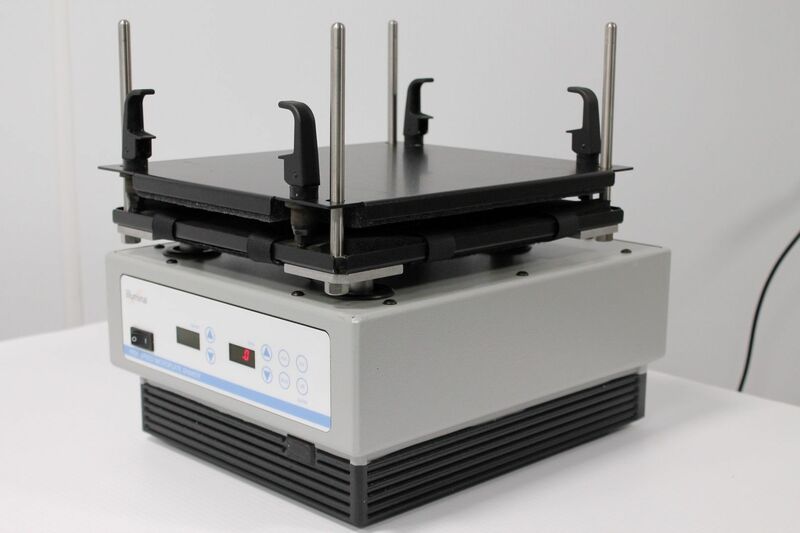 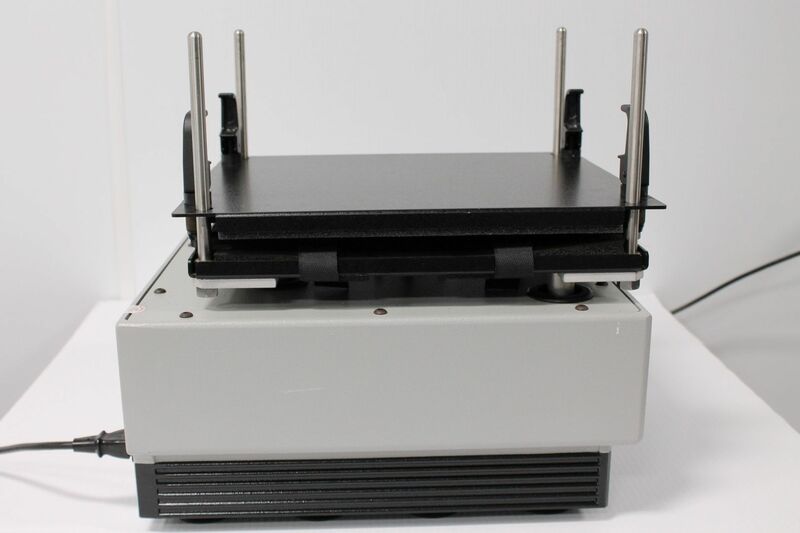 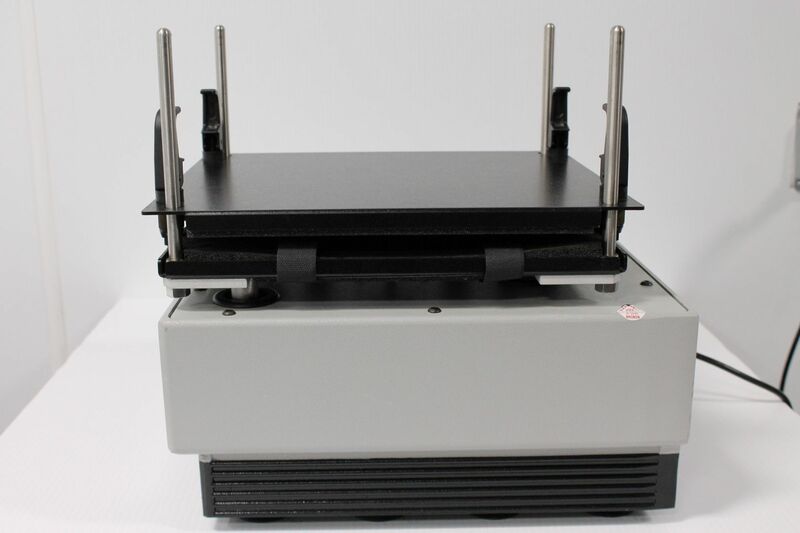 The video start with front view of the Illumina HSMPS High Speed Microplate Shaker. 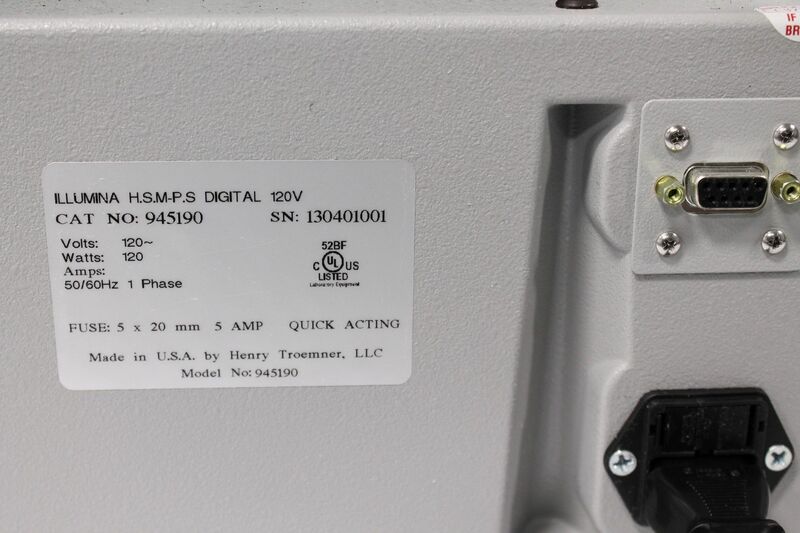 Then camera observes overall condition of the Illumina HSMPS High Speed Microplate Shaker, paying attention to the serial tag. 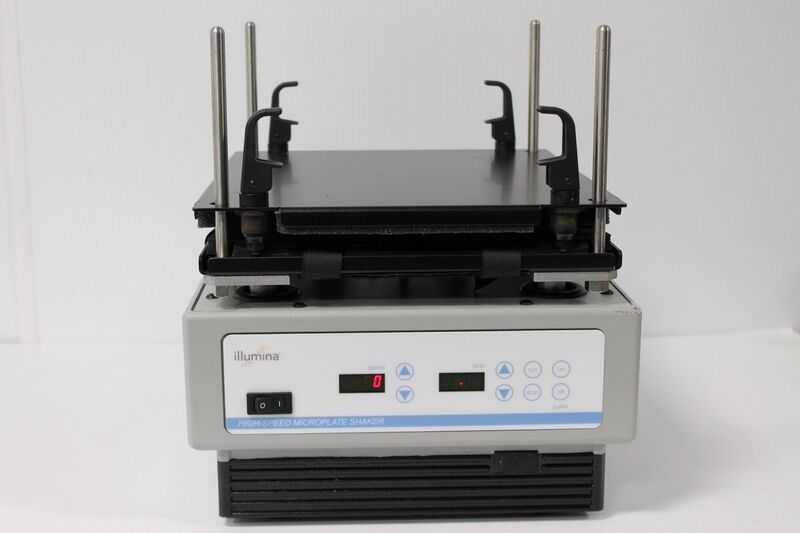 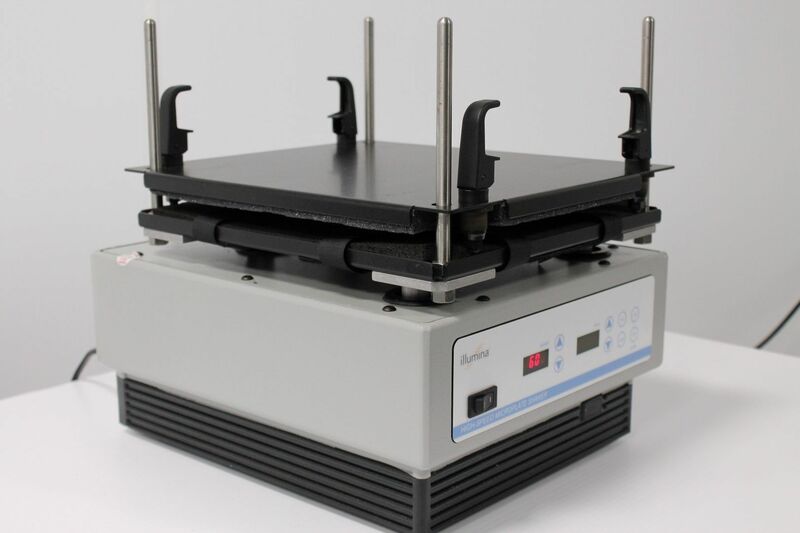 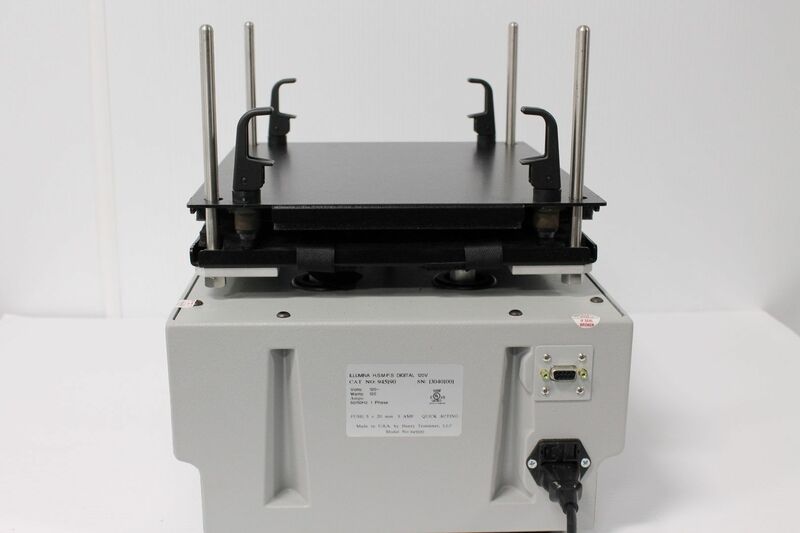 The video ends with a final front view of the Illumina HSMPS High Speed Microplate Shaker.